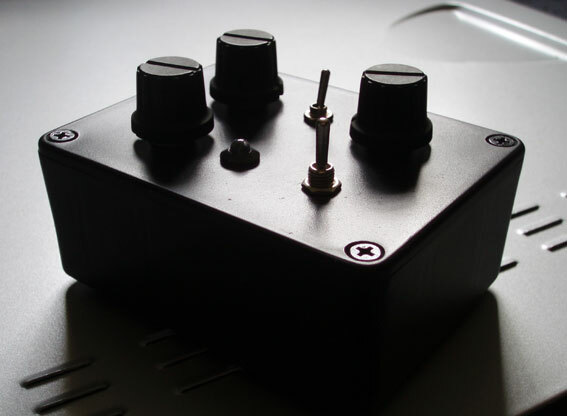 Essentially this small black box eats audio alive, then chews it up and spits it out in what can only be described as a deeply offensive manner. 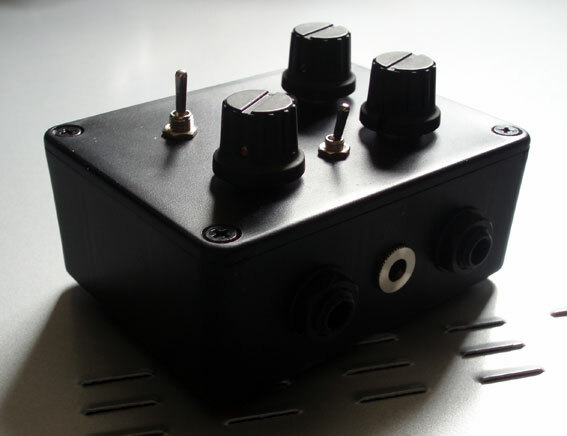 The box can create a wide range of bitcrushing style, gating, distortion and synthlike frequency effects with an intensity that can be anything from a gentle thin crunch to a terrifying wall of unstoppable noise. The mode switch selects between Crunch mode, Saturated mode and Panic mode. 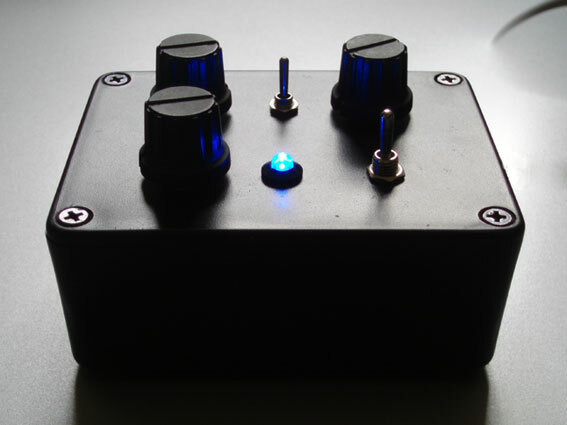 In every mode the audio is distorted and ground up at a frequency selected by the frequency knob, Selecting Crunch mode with the switch in the upwards position gives a spluttering crunchy distorted sound that can sound like anything from an old fuzz pedal with a nearly dead battery, to a mixing desk with every light running in the red. In Saturated mode with the switch in the central position you get a much more intense effect, where the input signal and the effect signal start to blend into one mighty noise, but with an addition of disgusting midrange splattering. In this mode you can get brutally saturated and distorted synth like tones running at the frequency of the input signal. The final mode is the Panic mode with the switch in the downward position. Think of this as the Saturated mode with all subtelty removed. At certain settings in this mode the box starts playing a constant tone with the input signal interacting with the tone in bizarre ways. Most of the time though its more like an unstoppable wall of vomit inducing destruction. With an input signal as a low frequency sweeping synth waveform we haveeven managed to get pseudo ring modulator tones in this mode. Round the back you'll find input and output sockets along with a 12v power supply input. This is NOT a circuit bent machine. We have actually built this thing from scratch as as such it is a unique processor. To hear demos of what this box can do just click on the player below. The first is a crushed techno loop, the second is a breakbeat, the third is a clean guitar and the final demo is what happens when you process basic synthesis waves through the box. Below are a couple of demos of a clean guitar played through a version of this unit built into a wah pedal case.